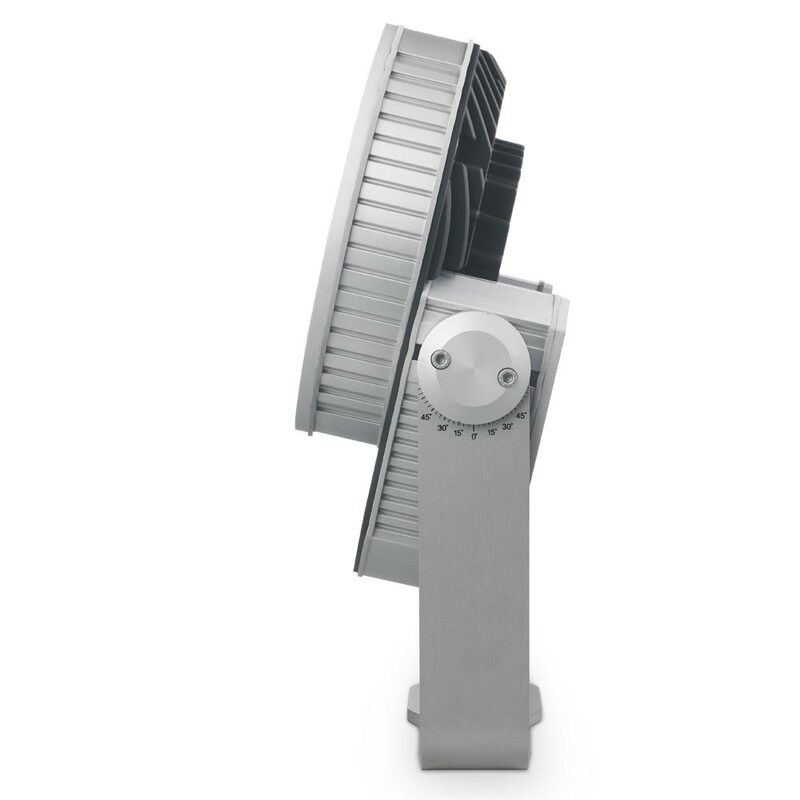 For lighting designs requiring uniform color washes at great distances, the Exterior 400™ provides extremely bright light (5300 lm) at narrow to wide beam angles. 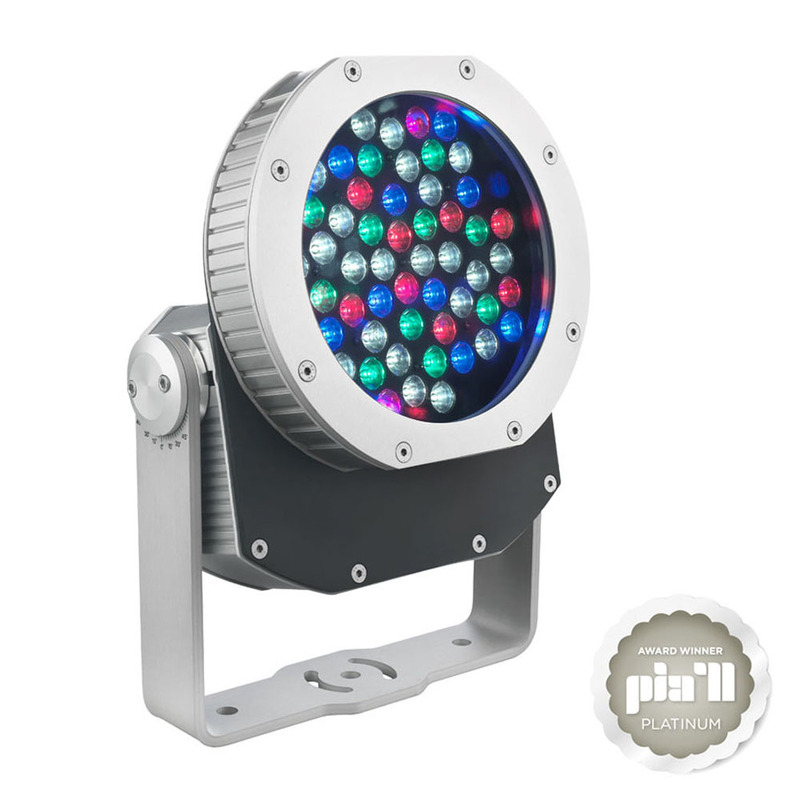 Great for lighting the tops of structures, up-lighting columns or reaching across long spaces, the Exterior 400 also broadens your choice of colors by mixing red, green, blue and white LEDs. The outdoor installation market now has the best combination of powerful, compact and energy-efficient LED light fixtures. No matter the application - long or short throw, cold or warm white, dynamic or static color - the Exterior 400 Range does it all. Typical Power and Current100 V, 50 Hz: 139 W, 1.4 A, PF 0.990100 V, 60 Hz: 139 W, 1.4 A, PF 0.989110 V, 60 Hz: 137 W, 1.3 A, PF 0.988120 V, 60 Hz: 136 W, 1.2 A, PF 0.986208 V, 60 Hz: 133 W, 0.7 A, PF 0.932230 V, 50 Hz: 132 W, 0.7 A, PF 0.925240 V, 50 Hz: 131 W, 0.7 A, PF 0.886Measurements made at nominal voltage with all LEDs at full intensity. Allow for a deviation of +/- 10%. ThermalCooling: ConvectionMaximum ambient temperature (Ta max. ): 45° C (113° F)Minimum ambient temperature (Ta min. ): -30° C (-22° F), power must be maintained below 0° C (32° F)Maximum surface temperature, steady state, at 40° C ambient: 90° C (194° F)Total heat dissipation (calculated, +/- 10%): 480 BTU/hr.